More than one thousand mosques through out Germany opened its doors to public for an annual activity called Open Door Day on October 3rd to help heel misperceptions about Islam. Despite recent surge in Islamophobic sentiments in the country, hundreds of thousands Germans filled the mosques to satisfy their curiosity. “Choosing the day of Unification of Germany for the event fortifies the message here. Germany was united on this day, and we, muslims, want to unite with German society, that is what the message is,” said the mayor of Duren, Paul Laure, at the mosque of Turkish NGO, IGMG. Laure was referring to unification of West and East Germany on October 3rd of 1990. Especially since the refugee influx into Germany following the Syrian civil war, anti-Muslim sentiments have been rapidly increasing. Activities like Open Door Day provides Germans who are oblivious to Islam despite more than 4 millions Muslim living in the country for decades a chance to interconnect with Muslims and learn about basic beliefs of Islam. “I pass by this mosque everyday and I heard about the event on TV last night and decided to pay a visit. I am glad I did. Lovely people here,” said one 48 year old female at another mosque in the city. The idea behind the day is to teach the visitors about Islam to break the barriers and establish inter-religious understanding. Visitors had an opportunity to talk to Muslims, and more importantly break down their prejudices which are based on demonization of media in recent years. The Integration Minister of German North Rhine Westphalia state, Joachim Stamp attended the event at the Central Mosque in Cologne. He said Islam does belong to Germany and Germany needs to do more for the mosques. “Turkey for example have built a lot mosques in Germany and we need to do more to provide the needs of those mosques or we would have no right to complain about Turkish involvement,” said Stamp. Turkish president Erdogan inaugurated the Central Mosque just a few days earlier which drew a lot of criticism from German media. None of the German officials attended the opening ceremony with Erdogan whom expressed sorrow during his speech about it. 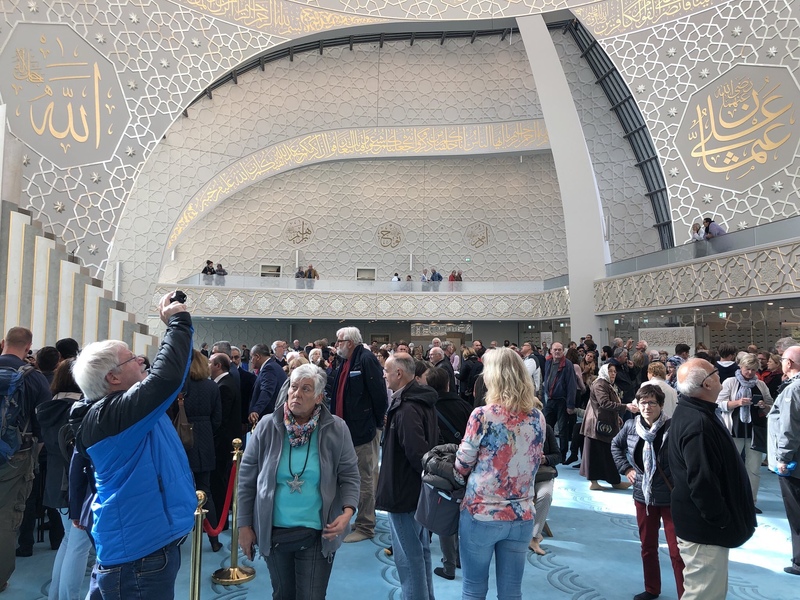 More than 10 thousand people visited the Central Mosque alone during the event and hundreds of thousands flocked to the mosques in total through out Germany.